One of the most important things you can do to ensure the health of your family is to find a good family doctor. When you or a member of your family is not feeling their best, you need to have someone to go to in order to start feeling healthy again. However, all family doctors are not the same. They tend to vary greatly in their experience and ability to work with children. 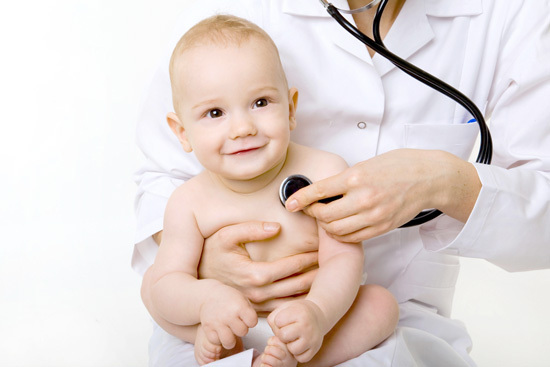 If you have kids, you need to find a family doctor who will keep your children calm during a checkup. Here is how to choose a family doctor. 1. How much experience does he or she have? There is nothing more important than the health of your family. Therefore, you should not put it in the hands of someone who is fresh out of medical school. You should look for a doctor with a minimum of four years of experience. However, more experience than that is preferable. This information should be easy to find out thanks to the Internet. When you visit a doctor's website, it should clearly mention how long the doctor has been practicing medicine. 2. Have you heard go things about this doctor? If you have friends or family members who have used a specific family doctor, what have they told you about this person. If you are hearing overwhelmingly positive things about a specific doctor, it would be in your best interests to set up an appointment and see for yourself. After all, you have absolutely nothing to lose and everything to gain by doing this. Info about the medical clinic of Houston can be found by going to http://springmedicalassociates.com. 3. Does the doctor keep reasonable hours? Some doctors are hardly ever in their office. This is often the case with older doctors who would rather spend more time on the golf course than practicing medicine. You need to find out how many days each week that a doctor works before you start using him as your family doctor. The less days a doctor works, the harder it will be for you to make an appointment. 4. How much does the doctor charge? Doctor fees can differ quite a bit. If you do not have any medical insurance, this is something you need to look into. Call many doctors in your area and compare their rates for standard examinations. You can use this info to help make your selection.